Are your cemetery maps just a little out of date (latest edit being 1892…)? Well we’re here to help when we conduct an index of your historical records for our online index. We use CAD & GIS data and technologies to provide interactive maps to help you locate those burials that seemed to have just disappeared (some quite literally). 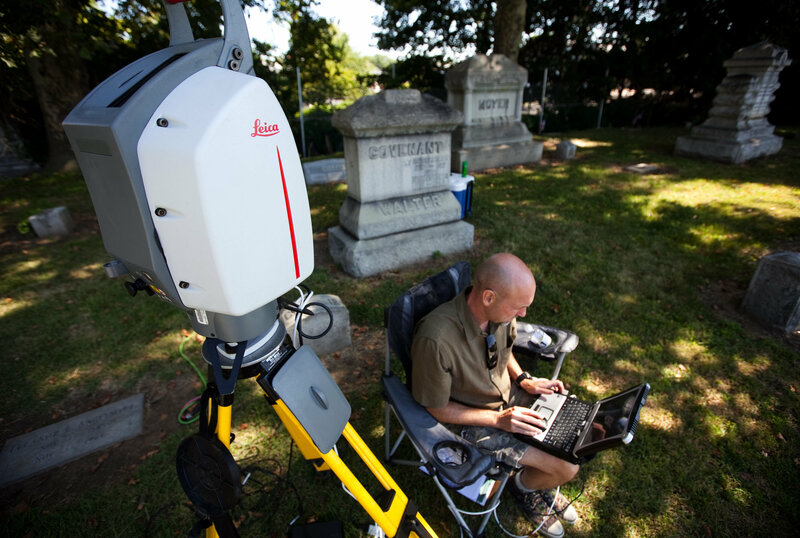 Our survey team also aids in the reconstruction of infrastructure, often times, old cemetery roads disappear and the old boundaries for blocks, lots and plots can no longer be found. We’ll upload some materials to help you with your survey projects, just in case you’d prefer not to use us, we’re always here to help. Just send us an email and we’ll get to you right away and layout a plan for the survey of your cemetery, just send us an email or contact us via our contact form and we’ll reply as quick as we can.